As part of the master plan, we designed a complex connector bridge to connect occupants back to their existing facilities. The grand lobby and restaurant were designed to draw pedestrian traffic further down Woodloch drive, expanding the urban experience in The Woodlands, Texas. As project architect, I helped design a new 31 story tower (11 garage levels), with a lobby at level 1, green roof on level 11, conference center and dining on level 11, fitness center on level 12 and 13, and 21 floors of office space. A 5 story building (retail on ground floor) with four office floors above developed for a site North of Houston. 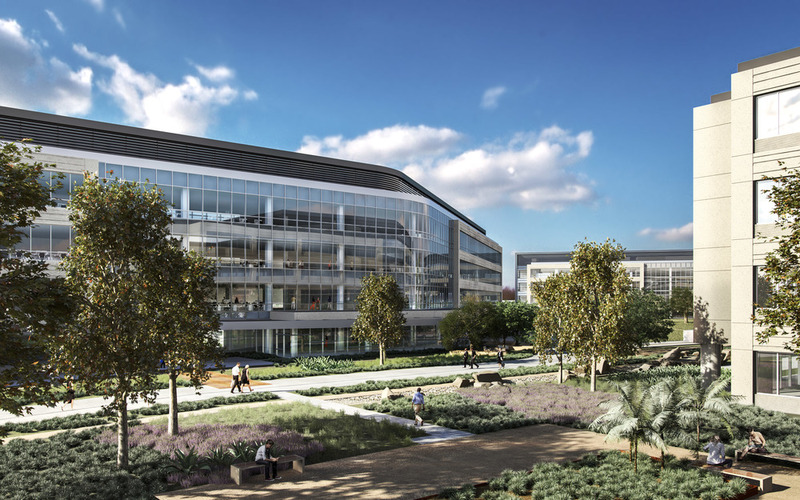 Our team worked on a fast track schedule to design two buildings (a 5 story and a ten story building, each with a detached garage for a proposed new development. 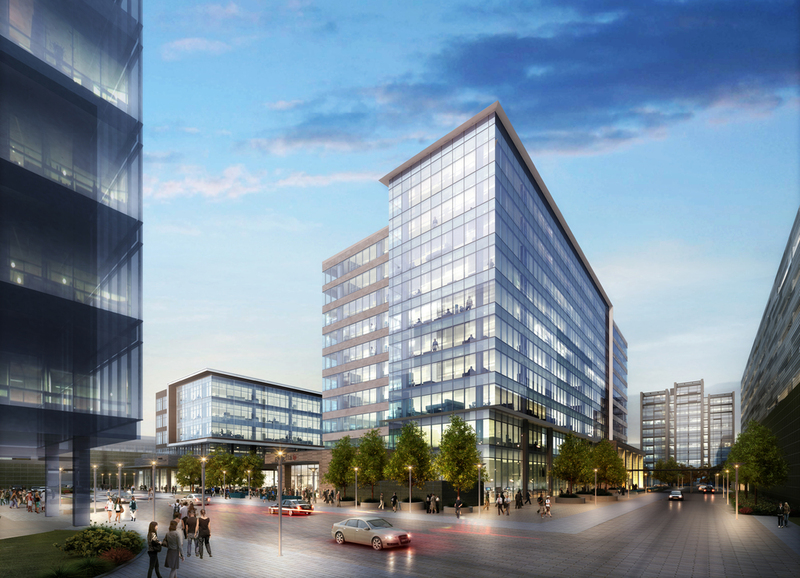 10 Story building (retail at ground level) developed for site north of Houston. 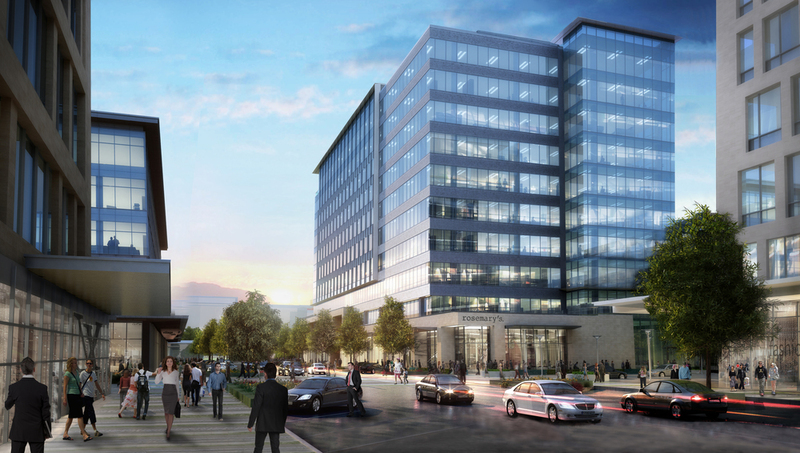 10 Story office building (retail on ground level) developed for site north of Houston. As one of several project architect, I worked with the design team to assist with RFIs, Submittals, and the detailing of exterior portals on several buildings of a corporate campus. As part of a 66 building university master plan in Vietnam, we designed the first phase of construction to establish the design language of the buildings. The final building designed was a communication and media arts building. This thrust theater was one of several theaters and studios designed within the building. Entry lobby for community college performing arts center. Early sketches from an auditorium design. Working with a diverse group of consultants, our team proposed a renovation of an aquarium, along with a small addition, and re-imagining of the entry procession experience for visitor. As part of the aquarium renovation project, I designed the stingray touch tank exhibit.